Le Biftheque Steak House on Cote de Liesse in St. Laurent was always one of my favorites, not to mention its butcher shop. So when its new owners filed for bankruptcy in June, it was sad day for its many devoted clients. I remember the days when you called for a weekend reservation, you’d still have an extended wait for a table. With the Jewish New Year approaching, I started getting calls from readers asking if I had any suggestions how they could cope with the disappearance with Le Biftheque. More specifically, where could they buy a good brisket now that the butcher shop is gone? Well businessman Peter Kovac has come to the rescue. Peter owned Le Biftheque Boucherville up until a year ago. With the bankruptcy on Cote de Liesse, all of the other locales which used the Biftheque name has to desist. But I digress. 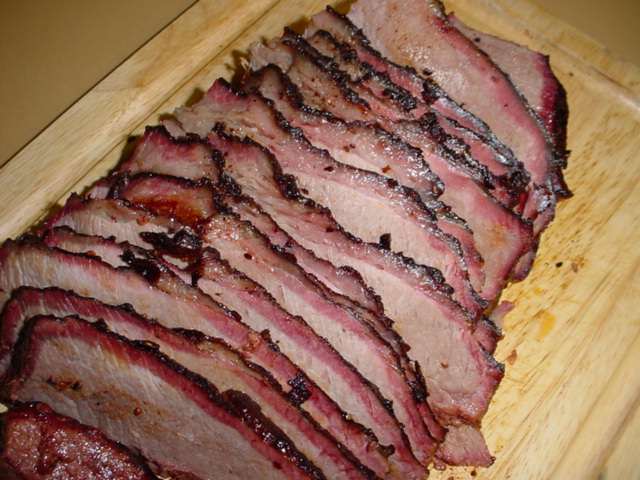 Kovac has ridden to the rescue and made arrangements to have uncooked briskets available locally due to the increasing demand he has also received in the past few weeks. Kovac explains that he spoke with Pasquale Massa, the owner of Quality Fruits and Hy Diamond of Schwartz’s to carry the same quality of briskets that customers have become familiar with from the Biftheque. “We expect an overwhelming demand, therefore the need to place orders as soon as possible,” Kovac says. “The briskets are fresh, sealed in a cryovac package and can easily be stored in your refrigerator until the end of the month. To reach Quality Fruits call 514-481-7341; to reach Schwartz’s call 514-842-4813.